Infosistema was selected by Santanter Totta because of its proved know-how in financial sector, to ensure that the aplications “Netbanking companies”, “Netbanking Personal and Intranet” work properly according the best workflow and evolve according the Banc needs and its customers. 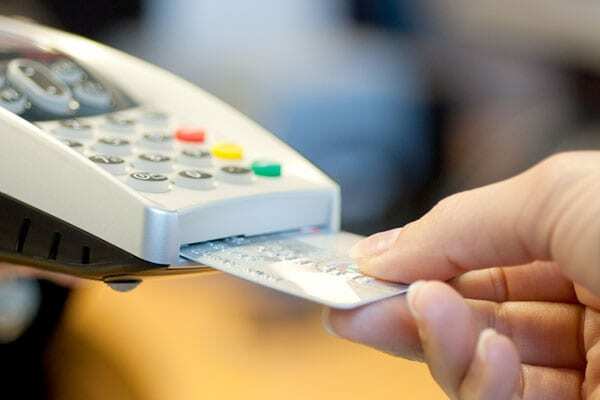 Over one decade ago, the Bank Santader Totta launched a new communication channel to allow execution of online operation to its customers, every time, everywhere. The Java applications that supported the channel had to many incidents and resolution times really high, being critical to eliminate that problems to provide an excellence service to the customers. As a matter of economy (common staff always present), quality (of the resources and procedures) and control (common architecture to new developments and response’ SLA to incidences), Banco Santander Totta decided to group applications in three areas, Netbanco Business + Intranet Applications + Netbanco Private, and assign the corrective maintenance, of each to an external supplier. Infosistema, by its know-how in the financial sector and in Java technology, won the delivery of Netbanco Companies. Later, with the proven performance also assumed responsibility for Private Netbanco. “Infosistema had already developed projects for Santander Totta in Java technology and we were pleased with the quality of their work: functional needs analysis, flexibility and agility in the conduct of the work, application operation, rapid response to detected incidents, and management and control. We had confidence in their ability to maintain and evolve other systems that would be under their control”, said Joaquim Baptista. After the need’s detection, Infosistema initiated the process with the definition of the management and control processes with SLA validation for incidents response. The team in Isban holds a shared knowledge of the various systems and is responsible for the tasks of corrective maintenance (resolution of issues), evolutionary maintenance (new developments and features) and preventive maintenance (detection of changes that may solve future problems or reduce risks, and performance optimization). In addition, Infosistema is involved throughout the project cycle, from identification of needs and opportunities, to requirements analysis, specification, budgeting and planning, management and coordination, execution and business support validation, production support and maintenance. It is also responsible for the ripening of the process development, management and control, by sharing information and demand of technological change. The applications are integrated with the central system (mainframe) from a transactional point of view and files exchanging, and through WebServices for quotes service, access (LDAP), news, content management, among others. The partnership between Infosistema and Santander Totta began in 2004 and continues to work successfully and confidently. Initially, were allocated 6 Consultants Infosistema, but nowadays the project counts with 10-15 employees in the various elements (corrective, evolutionary and preventive). From Santander Totta, there are 4-6 people working in tune with the team Infosistema. 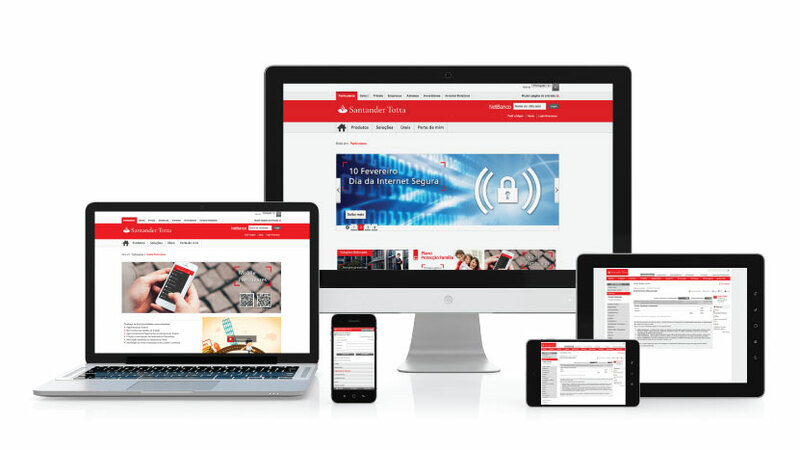 The preventive, corrective and evolutionary maintenance service provided by Infosistema ensures the full operability of net banking Santander Totta platforms, securing their complete availability and providing a great user experience, evolving according to the needs of the Bank and the Customer, always based on the best process workflow. All this has increased the satisfaction and loyalty of current customers, increasing the number of new accounts and give confidence that the Bank follows and monitors the best practices in technology. The strategy will always involve evolution and innovation, in order to provide the necessary tools to help customers in their business (if companies) and to improve its interaction with the entity (if private). “As our partner, Infosistema will always have its place next to the Bank new requests, considering that Infosistema will continue to adapt to the requirements necessary for us to evolve,” concluded Joaquim Baptista. 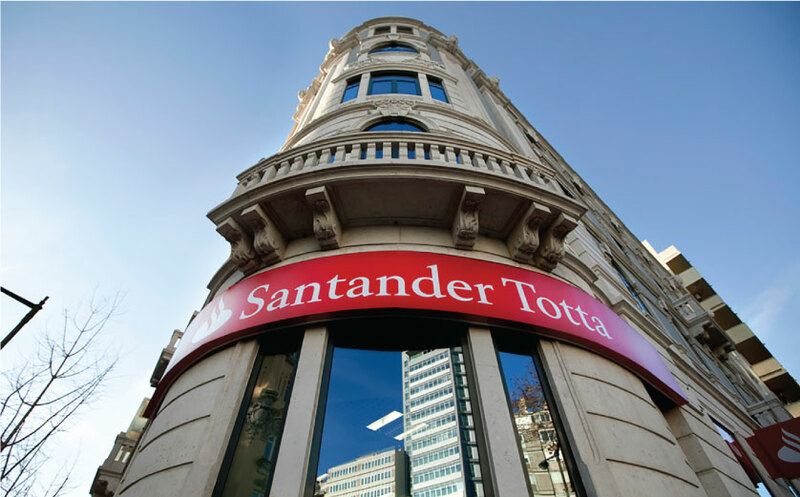 Santander Totta is a reference bank in the Portuguese financial sector, with an extensive customer base and over 600 branches distributed throughout the country. It is part of Grupo Santander, the largest bank in the euro zone, a world reference with more than 102 million customers. Isban is the global factory specialized in the development and implementation of the software strategy of the Santander Group, whose mission is the development and extension of SW strategy that supports the business model of the Santander Group, following the strategies of corporate technology, efficiency and quality standards the Group. The Isban delivers to banks, companies, businesses and the Group’s global areas, a high quality service and consistency in the development and maintenance of applications, aligned with the strategies of corporate technology. Infosistema acts in Technology and business consulting for Banking and Insurance sectors, Industry and public administration, developing business support portals and BPM and Workflow solutions. With over 19 years of experience, projects in more than 8 countries and more than 120 collaborators with more than 200 technical certifications, as in project management (PMP), we claim ourselves as an agile, flexible and innovative company capable of providing value to the most challenging and demanding needs of our customers.